The City of Webster City Public Works Director is responsible for providing a wide range of services and support for the City-owned facilities which are funded through taxation and/or utility fees. The Public Works Director oversees the ownership and maintenance of the City’s water system, including the wells, treatment plant and distribution system with two water towers; sanitary sewer including the sanitary sewer mains to the wastewater treatment plant and the plant itself; and storm water mains taking storm water to river. In addition, the Public Works Director oversees the electric utility and the streets and alleys within the corporate limits, excluding Highway 20. The Waste Water and Water Treatment Departments, Street Department and the Electric Departments all report to the Public Works Director. 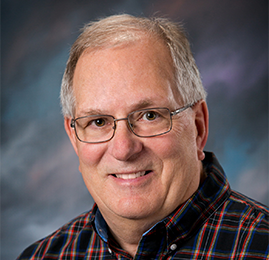 Ken was born in Minnesota and has spent over 33 years with the City. He is married. In his spare time, Ken enjoys outside activities and is involved with the Boone Valley Izaak Walton League.